Aromatic herbs such as lemongrass, galangal (Thai ginger) and fresh green chilis are harvested at their peak of freshness and carefully blended with fragrant spices for the perfect balance of flavors. Use as a stir-fry seasoning, a soup base, or with coconut milk to create a delicious Thai curry. Add a teaspoon to your favorite marinades for a bit of spiciness. This product traveled 1455 km to reach our warehouse. 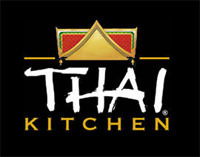 Thai Kitchen was founded in 1989 when Seth Jacobson made his first trip to Asia. It was during this first trip to Thailand that he fell in love with the land, the people and the cuisine. At an outdoor market in the center of a Thai village, he discovered the secret of why Thai cuisine is so astonishingly complex, rich and flavorful. The high quality of Thai cuisine was achieved by selecting and combining only the freshest ingredients without making any compromises. He noticed these authentic Thai dishes were made with an intricate combination of fresh ingredients such as lemon grass, kaffir lime leaves, tamarind, Thai sweet basil, galangal, fish sauce and jasmine rice. At the time, there were no domestic suppliers providing Thai staple items like fish sauce, coconut milk and fresh curry pastes. 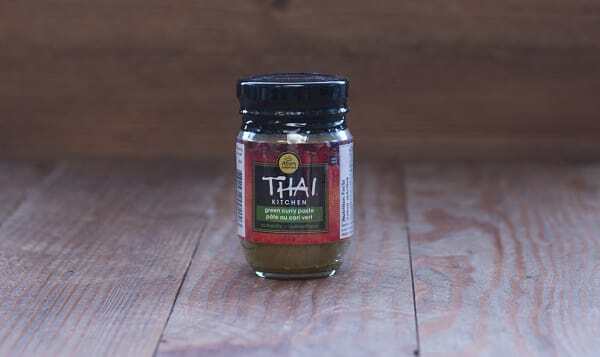 He wanted to create an authentic Thai product line but knew that he could not achieve the true flavors of Thai cuisine by using ingredients found domestically. Therefore, he chose to work closely with Thai farmers to create the true authentic flavors of Thailand. Thai Kitchen is ranked as the number one imported brand of Thai food in the world and offers everything the consumer is seeking: taste, quality, authenticity...the best of Thailand.